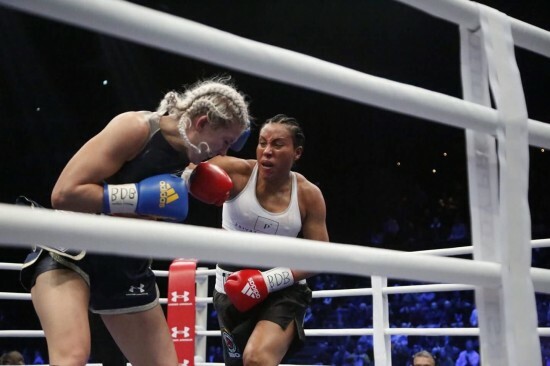 Dramatic Photos: Cecilia Braekhus Storms to Victory Over Klara Svennson! 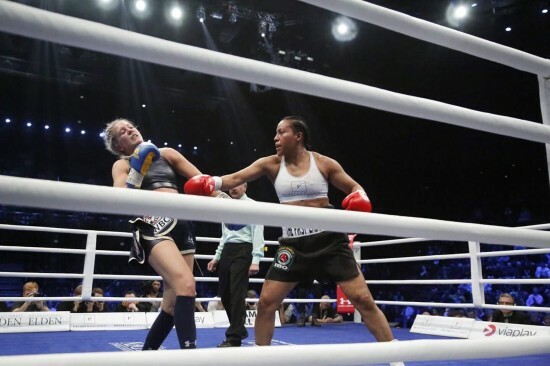 OSLO, Norwaay, February 26, 2017 — Undisputed and Unified Women’s Welterweight World Champion, “The First Lady” CECILIA BRAEKHUS, (30-0, 8 KO’s) won a dominant 10-round decision over Mandatory Challenger KLARA SVENSSON, (17-2-0, 5 KO’s) on Friday night, February 24 in front of a sold out crowd of over 10,000 at The Spektrum in Oslo, Norway. Scores were 100-90 and 99-91 twice, as Braekhus, the Women’s #1 Pound-for-Pound Fighter in the World defended her WBC, WBA, WBO, IBF and IBO Welterweight World Titles. “I’m very happy with my performance, my continued work with trainer Johnathon Banks has made me more aggressive and while I’ve kept a little bit of the old style, it’s really made me into a new fighter,” said Braekhus. 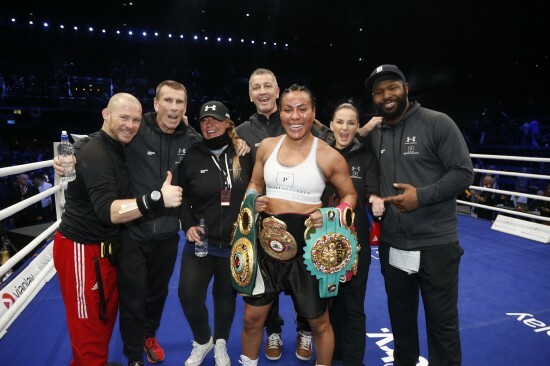 The victory was Braekhus’ second consecutive in her home country following the lifting of Norway’s thirty-three year boxing ban which the champion worked tirelessly to remove.